Sinoceratops is a large ceratopsian (horned) dinosaur from China. It is unique in being the only confirmed ceratopsid (advanced ceratopsian) from Asia. 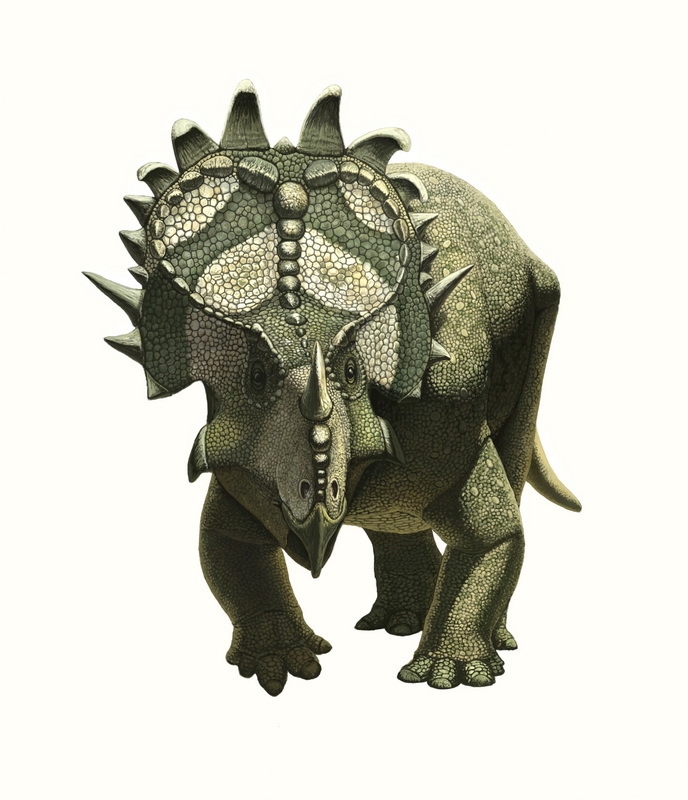 Although Asia has produced many primitive ceratopsians like Protoceratops and Psittacosaurus, advanced members of the group like Pachyrhinosaurus and Triceratops were only known from North America. It has large forward-curling spikes along the edge of its frill, and a single large horn above its nose.